The SFU City Program, thanks to support from TransLink, is able to offer a first-class line-up of speakers on the highly relevant theme of transportation. Vancouver Admission is free, but reservations are required. Reserve here. Andrew Coyne, a national columnist for Postmedia/National Post, will talk about a unified approach to pricing cars and transit. Transit advocates commonly suppose that subsidizing transit more heavily will induce more people to give up their cars, thus alleviating congestion. The evidence for this is scant, while a better solution is at hand: pricing roads. Pricing road use is the only effective way to induce people to drive less: indeed, as road use is at present rationed by time rather than money, other proposed methods (wider roads, carpooling, synchronized lights, etc) end up inducing people to drive more, since they reduce the time-price of using the roads. Put the revenues from road tolls toward subsidizing transit? No: subsidized transit suffers from much the same defects as subsidized roads — both mask the real price of resource use, and both encourage sprawl. Moreover, to the extent subsidies make transit less dependent on riders for revenues, they lessen incentives to innovate and improve service. Live webcast will be available here. Admission is free, but reservations are required. Reserve. Metro Vancouver is not the only region in North America facing difficult choices about how best to meet the future transportation needs of a growing population – and how to pay for it. Like Metro Vancouver, which will add one million new residents over the next 30 years, the Greater Toronto and Hamilton Area is projected to see its population increase by 40 per cent in the next 20 years. To preserve and enhance their economic vitality and quality of life, both Metro Vancouver and the Toronto city-region cannot postpone significant investment in their transportation networks. In Toronto, where political gridlock has led to inaction, Dr. Anne Golden led a panel in fall 2013 to find a viable transit investment strategy for the Greater Toronto and Hamilton Area. She will describe the political and financial context that was blocking progress in Toronto, and set out the plan that she and her 12 panel members hope will break the political and transportation gridlock. Panel: Suburban Sprawl – Innovative approaches to managing suburban sprawl in Canada. SUBURBAN SPRAWL: Innovative approaches to managing suburban sprawl in Canada. A new report issued by Sustainable Prosperity identifies the immediate and long‐term hidden costs of sprawl. The report represents a strong call to action for municipalities, asking them to adopt new policies and legislation to encourage efficient, healthy and resilient high‐density neighbourhood growth. 1.How is sprawl subsidized by Canadian cities? 2.How do we finance new expectations for development? 3.Can the Vancouver model of urban planning be expanded to include suburbs? 4.What policies will ensure that cities are not left with the tab after development charges are spent? 5.What incentives successfully motivate developers to build in central areas? 6.How can we make density attractive? Two of our favourite Australian planners and urbanists are back in town, with new insights and updates. Greg Vann is one of Brisbane’s best known and respected planners, a co-author of the Next Generation Planning Handbook, and former chair of the State’s Transit Oriented Development Taskforce. Warren Rowe recently stepped down after 18 years as Director of Planning, Environment and Transport at the Gold Coast, Queensland’s second biggest city, where he was instrumental in many award-winning projects, most notably the City’s first light rail line. He comes to Vancouver fresh from presenting and running a master class at a TOD conference in Malaysia. Both come from the Brisbane region in Queensland — an area roughly the population, age and growth rate of Metro Vancouver. So how are they dealing with pressures of growth and the realities of climate change? What new urban forms are working, or not? In particular, what have been the lessons learned from the massive investments in highway infrastructure? Their tolled tunnels have failed to come anywhere close to their predicted traffic. On the other hand, Gold Coast City is currently constructing a light-rail line prior to the Commonwealth Games that promises to transform this car-centric community. You’ll get the latest news. Our Commonwealth cousins have more to compare and contrast with us, no doubt contributing a few observations about the Vancouver they know well from many previous visits. Learn about our place and their place, with a few lessons from other places along the way. Organized by SFU Continuing Studies (City Program). Supported by Metro Vancouver. Admission is free, but seating is limited, so we require reservations. Register here. Political engagement in cities is at an all-time low, but the passionate public discourse about visions for the places we live is louder than ever. What disconnect is hindering these conversations from translating ideas into reality? 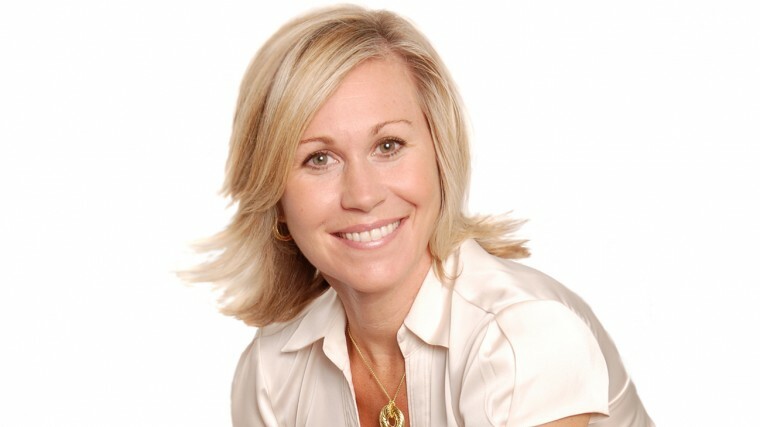 Jennifer Keesmaat, chief planner for the City of Toronto, will speak about her experiences shifting public discourse through capacity building, and the underlying factors that lead to the tipping point required to achieve a lasting impact. Belief, understanding, and engagement must come together to empower communities to drive forward positive change. The City of Toronto’s Planning Division is embarking on a new trajectory aimed at fostering these underlying factors by connecting with its residents at a deeper, more substantive level. Jennifer challenges each of us to Own Your City, taking personal action to increase the quality of life within the communities we call home. Dr. Warren Gill was passionately engaged in the cities and neighbourhoods in which he lived and worked. As a member of the senior administration at SFU, he was instrumental in the development of its downtown campus; as an urban geography professor, he inspired many students. Never satisfied with the status quo, Warren worked constantly to make life in the city more interesting and more inclusive. The intent of this lecture series in his honour is to continue his questioning, raise new ideas and invoke new ways of thinking about life in the urban context. Over the next few months, the SFU City Program will be hosting speakers from a state that shares more than a border with Canada. We’ve been big fans of some of the urban thinkers there — in particular Charles Marohn, co-founder and president of ‘Strong Towns.’ Charles is a professional engineer who is passionate about planning and small towns, but also brings a civil-engineering perspective that results in original ideas. Like ‘Stroads’ — a street/road hybrid that manages to be both expensive and unproductive. He’s also a fiscal conservative who makes his case effectively to a small-government audience as much as to urban planners and engineers. You can see more on youtube. Or his TED Talk. Better yet, come hear Charles Marohn live on October 24.